4-ticket season ticket holder and downtown advocate here. Companies that are recruiting out-of-town employees to come work/live in Buffalo have the same problems that the Sabres and Bills have when recruiting talent to Buffalo — a stigma is attached in people’s minds. They have seen our city in superbowl losses playing in snow and they’ve seen us make national headlines with our blizzards over the years. The “33” is the ugliest transportation roadway possibly in all of America — right next to Detroit’s. 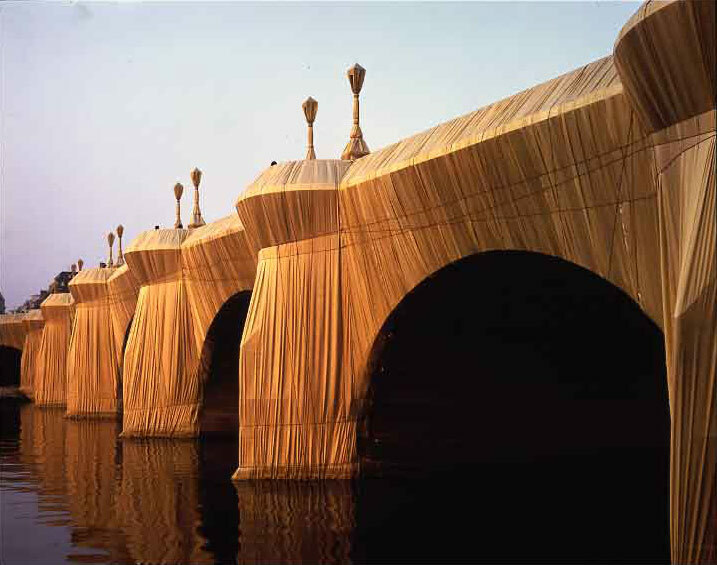 I really wish we could throw some paint on the walls of the 33, or make it an art insulation that is designed by the many artists in our city, or possibly commission Christo to wrap the 33 in fabric — see attached image…. but that’s years away, so in the meantime, the 33 is dreary and ugly. Not a good first impression of our city, with the abandoned projects and such that litter the 33. I have this thought that you might have some “pull” on influencing where those buses drive when they take the team downtown. They must all use the same local bus company and it seems you could meet with a high-up manager there to explain this. If the bus took the 33 to the 198 and then the Delaware South exit, taking Delaware into downtown….. it would add only 4 minutes to the overall drive time, and the players/guests would see: Delaware Park (at Parkside corner), lovely homes there, the beautiful Forest Lawn Cemetery as they drove through the S-curves, the mansions along Delaware, and more of the unique architecture from Allen St through downtown. It would help make a better impression on players that are visiting. I really believe we should roll out the red carpet for visiting teams. Honestly, I think their locker room should be as good as the Sabres locker room. Every impressionable moment that we have with those players is a moment that our city’s perception to the rest of the world can be helped or hindered when those players leave and tell the people they influence about Buffalo, NY.